CET 2012: Were entrance test papers leaked? The Common Entrance Test 2012 results Jammu and Kashmir declared on June 30 have come as a startling development for the meritorious and career conscious students of the state who appeared in the examination with full confidence but could not make it as there is more to it than meets the eye, a news agency reported on Thursday. Scores of agitated students called complaining that the entire process of selection is fishy and scandalous and challenged the veracity and accuracy of the selection list. 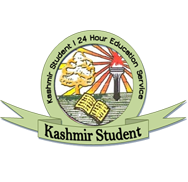 While having a glance at the selection list particularly from Anantnag area in South Kashmir it becomes abundantly clear that the allegations leveled by students carry much weight as results include such students whose performance in their Matric and +2 exams have remained quite below the mark. They are widely known to be underachievers. Reports suggest that the question papers have been put on virtual sale and the sell out has benefited the highest bidders who rolling in unimaginable riches. Actually the credibility of BOPEE has been grievously damaged consequent upon the extension by two months tenure in favour of Mushtaq Ahmad Peer as Chairman BOPEE obviously the extension has been granted in his favour on the recommendations of the vested interest who have facilitated his motives of minting money on the eve of his superannuation. By such extension, he was supposed to mint as much money as he could. Consequently the BOPEE has lost the sheen that it once enjoyed. Now money minting rules the roost here and everything is fishy and fake. It is pertinent to mention here that the cabinet had recently appointed Prof R D Sharma, Dean Academic, Jammu University as next chairman but ironically Peer was given extension of two months vide a decision taken in the same cabinet meeting. It redounds to the credits of this news-paper that has along opposed any decision of the government for any extension to any government servant whosoever. The CET 2012 results reveal that the merit has been cruelly marred at the alter of material considerations and an unprecedented sell out putting a very big question mark on the sanctity of this institution. The case of one Mir Hina Saleem D/o Muhammad Saleem Mir resident of Chee Ananntnag under roll no. 123388 getting 36th rank is highly startling. 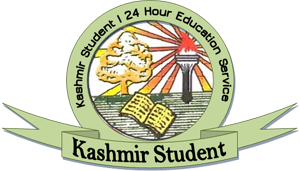 She had previously failed even in her secondary school examination as a regular student, subsequently she passed it in third division as a private candidate and has paased her 12th examination in third attempt Besides 4 candidates from a single village of Kanelwan Bijbehara stand selected while the village is known for big orchardists who are rolling in money. The buzzword in the village is that they have purchased the seats merely on payment of hefty sums ranging from 10 to 20 lakhs each. A male candidate from Damhal Ahmad Faraz 25th rank under roll no. 130256 and a female candidate Amira Shakeel from Mahen secured 25th rank under no. 122222 despite the fact that both are under achievers and their fathers are working in one department, one office under single roof. So much so the candidate Mir Wajid Majid under roll no. 131184 who secured first rank in CET is looked with suspicion as his sister Mir Danish Majid with 17th rank, his cousin brother Sadam Farooq from Munghal village of Anantnag 5th rank stand selected in what can be termed as fishy and foul process. the trio is reportedly connected with a network of two more candidates Hovura Zahoor having 111 rank and Sheikh Bargees Ismail having 36th rank who are kids of two famous doctors. It amounts to broad day dacoit and the manipulative complexion of whole process has manifestly come to the fore in which chaff has been selected and the grain has been left out. It is a wide spread public perception that one Bashir Ahmad Ganai, a government teacher from village Chee Anantnag, is the actual broker and tout who is instrumental in the purchase and sale of the ranks. He is notorious for being a history sheeter and for issuing graduation and post graduation certificates to scores of people and enjoys the support of high ranking officers, politicians and police officers. Recently Ganai has managed the selection of two candidates from his native village as Junior Statistical Assistants and two physical education teachers through SSRB furnishing them certificates and degrees with high grades. Ganai’s close proximity with the authorities that be, has earned him huge assets and has purchased big chunk of land in the peripheries of Anantnag town.10-4-78- cbsc 1990 while he got himself selectes as teacher on 29-10 98. Scores of students called on this correspondent to register their grievances disclosing that they have made their mind to protest against this scandalous process of BOPEE if their prayer for setting aside the CET results is no acceded to. They prayed that the Honorable High Court should take sumo tuo cognizance for declaring the CET list null and void.